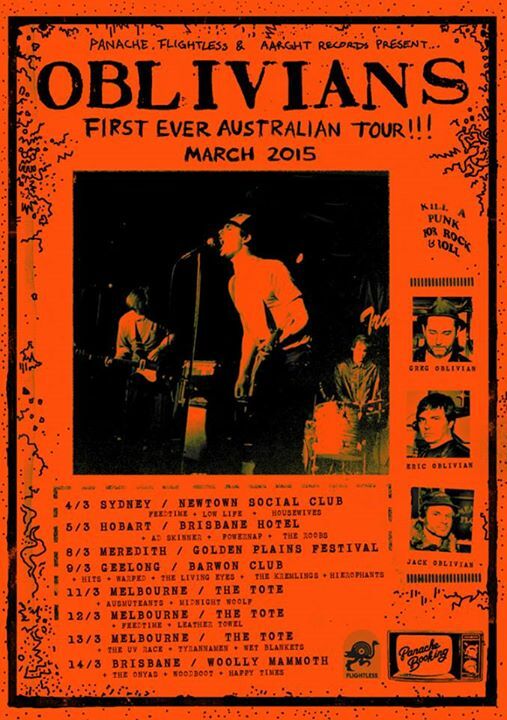 The Oblivians kick off their first ever Australian tour tomorrow (Wednesday) at Newtown Social Club in Sydney supported by feedtime, Low Life and Housewives. The rest of their tour dates are listed below. You’d be a deadset donkey to miss them.